Getting a chronic fatigue syndrome diagnosis can be a long and difficult process. Why is this the case? Since there is no blood test to diagnose chronic fatigue syndrome, a doctor will want to rule out other possibilities that have fatigue as a primary symptom. 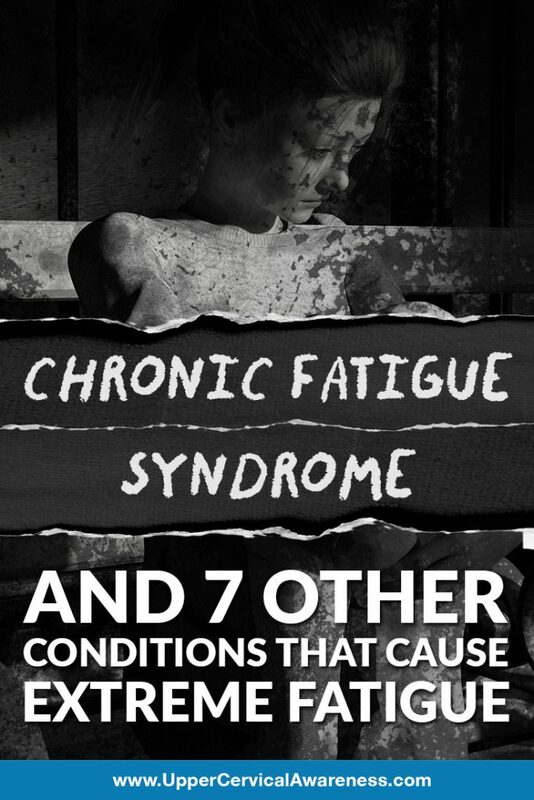 What we are going to do today is look at 7 other conditions that could be causing the fatigue. Finally, we will present a natural way to cope with chronic fatigue if you ultimately end up with this diagnosis. The thyroid is basically in charge or regulating the body’s energy levels. If your thyroid is underactive, you will feel fatigued on a regular basis. However, there are a number of other symptoms that can help to differentiate this condition from chronic fatigue syndrome. For example, hypothyroidism also presents with weight gain, dry skin, and constipation. Your adrenal glands produce cortisol. This is a hormone that regulates blood sugar levels and metabolism. It also helps with memory formation and reduces inflammation. It has the reputation for being the stress hormone because it is released in connection stressful situations. However, some of this stress hormone is vital for overall health and well-being. If you are suffering from adrenal insufficiency, extreme exhaustion is just one of the many symptoms. More common in women than men, anemia occurs when the body suffers from a reduced amount of red blood cells. This can happen in connection with a heavy period. If you are suffering from extreme exhaustion along with dizziness, a racing heart, and a paler complexion than usual, then you may be dealing with anemia. The good news is a simple blood test can let you know if this is the problem and there are a number of ways to correct it including supplementation and dietary changes. Besides the extreme exhaustion, are you also thirsty all the time and do you experience a frequent urge to urinate? These are signals that there is too much glucose in your blood. When blood sugar levels are elevated, extreme exhaustion can occur. Clinical depression is a mood disorder that can cause debilitating fatigue. Other symptoms include overwhelming sadness, concentration issues, and loss of appetite. The fatigue may get to the point where you don’t even feel like getting out of bed. This is a serious health condition that is still biologically misunderstood but requires medical attention nonetheless. Anything that ends in itis refers to a condition that causes inflammation. In this case, inflammation is centered on the heart. The condition generally occurs when bacteria from another part of the body travels to the heart and causes inflammation. It is most common for people with heart conditions such as damaged valves. One of the places bacteria is most likely to be transported from is the mouth, which is why a dentist may require you to take an antibiotic before seeing you if you have any sort of heart problem. Since infection is often involved, fever and chills are accompanying symptoms to the fatigue. This condition is actually common among chronic fatigue syndrome patients, so having one conditions does not necessarily rule out the other. OSA is a condition in which the body experiences pauses in breathing while you sleep. As a result, sleep is non-restorative as the body is unable to attain deeper levels of sleep. This can leave a person feeling exhausted during the day. Any patient with chronic fatigue syndrome should be tested for OSA to make sure both conditions do not exist simultaneously. Treating OSA should help relieve some of the fatigue associated with chronic fatigue syndrome, even through sleep is not the only factor in relieving the exhaustion. Specific Focus – Upper cervical chiropractic care focuses on just the top two bones of the neck, the C1 and C2. These two bones are located at the base of the skull. They have a major impact on things like brainstem function, facilitation of blood flow to the brain, and proper cerebrospinal fluid drainage. Correcting issues caused by even minute misalignments can have whole-body effects. Gentle and Precise – After measurements are taken of the C1 and C2 using diagnostic imaging techniques, the upper cervical chiropractor can measure misalignments down to hundredths of a degree. Since adjustments are so precise, they are also gentle. There is none of the popping or twisting of general chiropractic. As-Needed Adjustments – Gentle adjustments hold longer, and this allows patients to schedule adjustments further apart over time. While a general chiropractor may make adjustments on a monthly basis as “maintenance,” an upper cervical chiropractor will only provide an adjustment when you are out of alignment. If you are suffering from a chronic condition such as chronic fatigue syndrome or fibromyalgia, there is good reason to have the uppermost part of your spine examined by an upper cervical chiropractor. If a misalignment exists, safe and gentle adjustments may be able to help you get some of your energy back. To learn more, contact a practitioner in your area today.